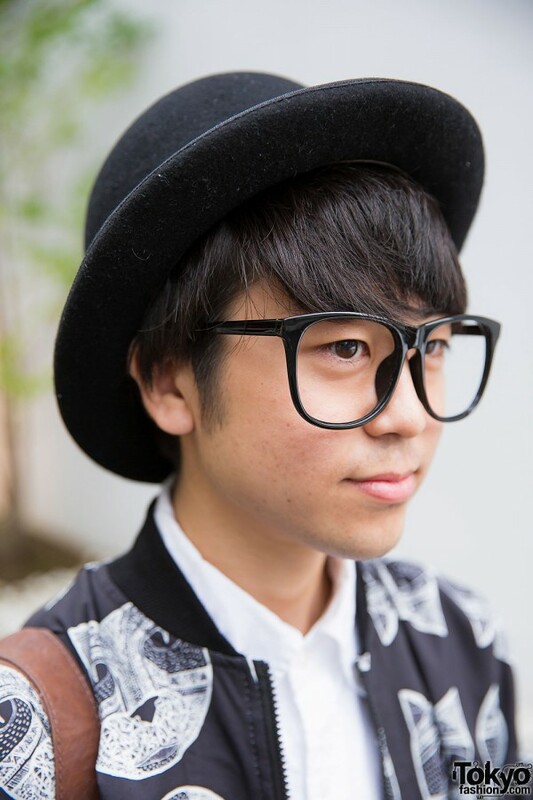 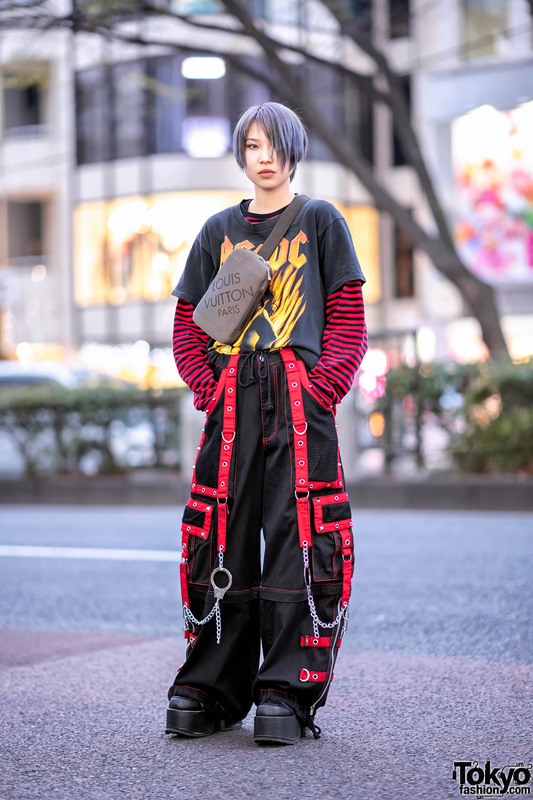 Meet Tatsuya, a 20-year-old guy we snapped in Harajuku. He is wearing a long cat print jacket over a top from Uniqlo with Yohji Yamamoto Y’s rolled up pants. 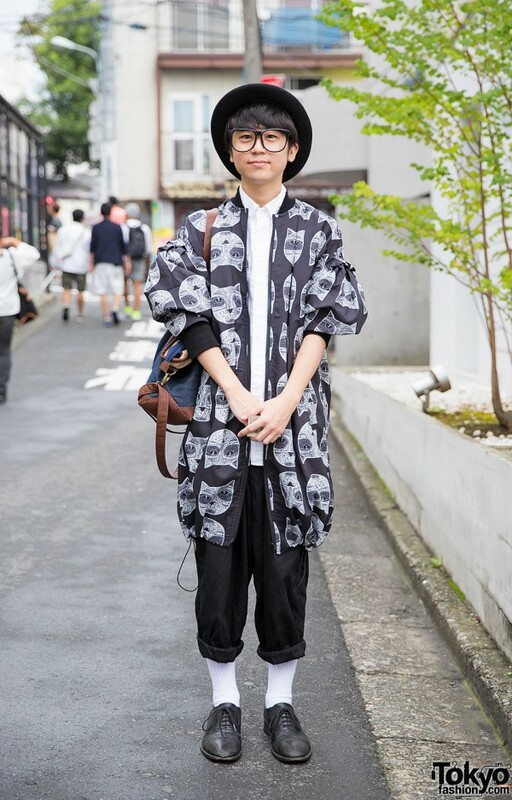 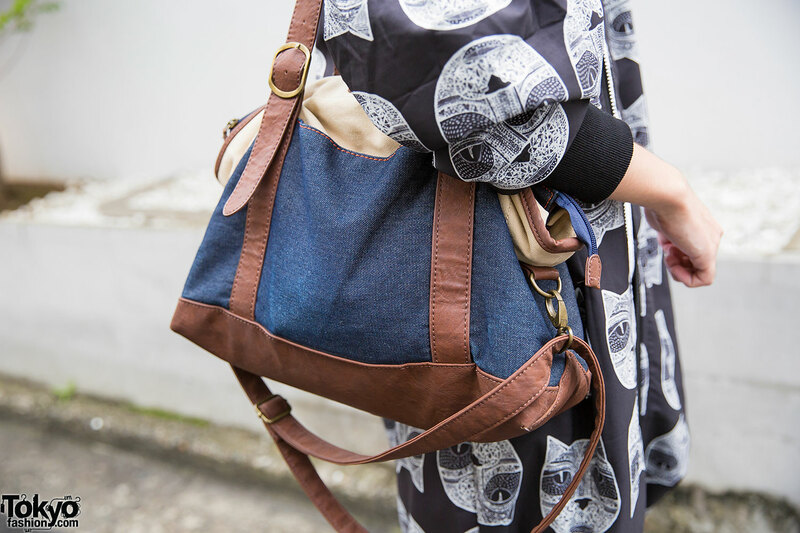 His accessories include glasses, a bowler hat and a bag. 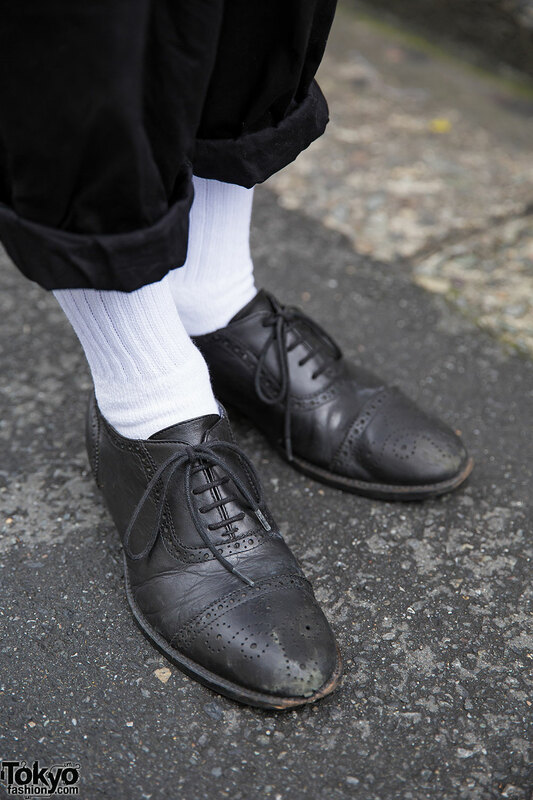 Tatsuya told us his favorite fashion brand is the legendary Japanese label Comme des Garcons. 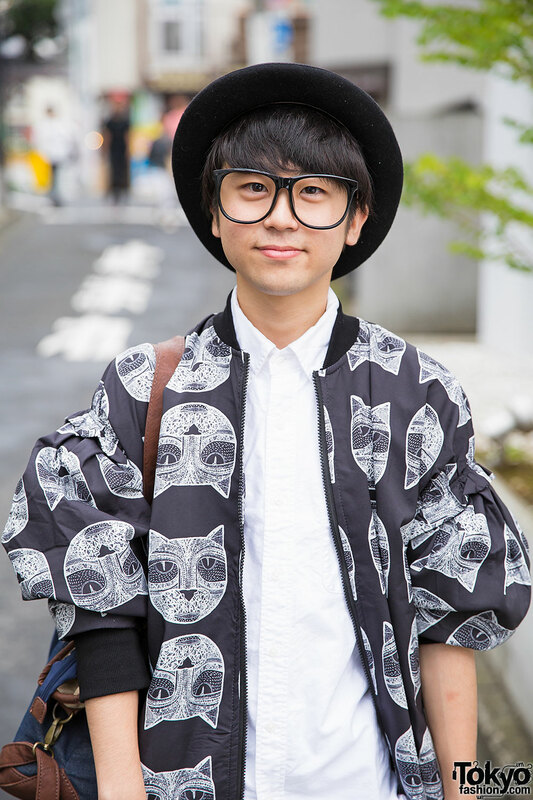 Where can you buy that long cat print jacket?